Steve Wozniak whips out a sheet of $2 bills, watching for the response of the counter clerk from the corner of his eye. As he cuts out a few to pay his bill, he casually remarks "I bought these from a guy wearing a blue mumu for $1.35 each. I don't know how he does it but I'm sure they're legal." More than once, this antic has brought in the police. But Steve doesn't care. He's a kidder, just a kid at heart really. It's a characteristic that makes him an excellent 5 th grade teacher, but would you also guess that Steve Wozniak was also one of the founding fathers of the personal computer revolution and a millionaire a hundred times over? He's been called the Wizard of Woz. It was he who single-handedly designed an entire personal computer, the Apple I. It was he who designed the Apple II and wrote the software to make it run. It wasn't the money he was after. There was no big money in personal computers in the mid-70's. That came later. Steve designed his computer from passion, a passion to see how well he could do it. He went around handing out copies of the schematic diagram for free. Today he goes around handing out laptop computers for free. His passion now is to light the fires of excitement in 5 th through 8 th graders and their teachers in his hometown of Los Gatos, California. He gives them computers, Internet accounts, lessons on how to program...and pranks. Pranks? One of his favorites was the time he promised his students he'd give them their own Macs if they did well on a test. The students eyed the Macintosh computers set up on the desks and gave Steve their rapt attention. He told them that as they finished, they could go to the next room and select their Macs. With mouths watering, each ran next door to find that Steve had set up a collection of Macs...but they were Big Macs from McDonalds, not computers from Apple. "You should always get your teacher first," he tells them. But, and this is the big BUT, his rule is that any pranks must be nondestructive and easily undone. This fuels the playful energy that gets creative juices flowing without degenerating into the mean-spirited creation of viruses and other destructive acts. Steve Wozniak has taken himself off the corporate fast-track for a life devoted to his six kids, philanthropic efforts and just plain fun. He can pretty much do as he pleases at age 48 because he aspires to a happy life rather than the pursuit of more and more power and wealth, but also because he made it early. Yes, he was in the right place at the right time in the heart of Silicon Valley as the personal computer was being born. But so were thousands upon thousands of others. What made the difference for Woz? Perhaps part of the answer lies in the philosophy behind his first computer design, the Apple I. His overriding belief as a design engineer, with Hewlett Packard at that time, was that simpler and cheaper is better. He started with the cheapest chips he could find on the surplus markets to build a computer terminal, and then picked a $20 microprocessor for the brain. Elegance of design meant finding ways to eliminate every chip, every wire and every connection possible. In other words, not being satisfied with the first design he came up with. Instead, he'd think and think, rearranging the circuitry in his mind, until he thought of a simpler way to get the same result. In the end, his Apple I schematic, the one he handed out for free, fit on a single sheet of paper. Its successor was the Apple II, the computer that made Apple a household name. That one had sound, color and could use a home TV as a monitor. It was easier to use and did more than anything else on the market...and cost just $250 to make. Another philosophy, one that he tries to impart to his kids and the ones in his class, is that the time to really make it is when you're just getting started in a career. That's the time to put in the endless hours, take risks, pursue perfection and make a name for yourself in your chosen profession. He says to do it while you're in college and first entering the workforce, rather than just getting by at the same pace as everyone else. By focusing your energies, you'll have "made it" by the time you start acquiring a mortgage and raising a family. That gives you more options later in life to do as you wish. Steve Wozniak's life has followed his passion of doing incredible things, but it hasn't been free of challenges. In February of 1981, taking off from Scotts Valley airport, his Beechcraft Bonanza crashed, leaving him with with facial injuries, a missing tooth and no new memories. He'd almost died at age 30. He heard people talking about a plane crash and asked his fiancee to tell him if it was him they were talking about or if it was all just a dream. Five weeks later the memories returned, but his passions became more about people than technology. 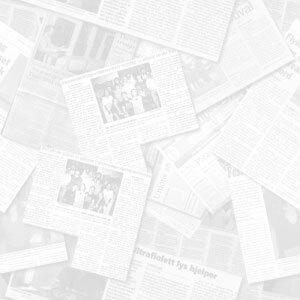 He organized two Woodstock-like music festivals in San Bernardino, California. In 1987 he sponsored the first joint US/USSR rock concert in Moscow and then sponsored computers for schools in the former Soviet Union. Since then, a major part of his life has been devoted to providing computers for kids and getting them excited about what they can do with the technology. In a different way, Steve Wozniak is still fathering the computer revolution. 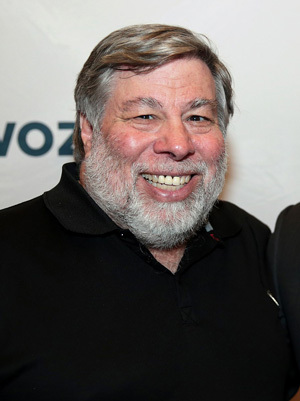 Note: Photo of Steve Wozniak courtesy of Gage Skidmore on Wikimedia Commons. Apple, The Inside Story of Intrigue, Egomania, and Business Blunders by Jim Carltonand Guy Kawasaki. Apple Computer, founded as a garage start-up by Steve Jobs and Steve Wozniak in 1976, was once a shining example of the American success story. The company launched the personal-computer revolution in 1978 with the first all-purpose desktop PC, the Apple II. In 1980, long before technology stocks were popular, Apple's initial public offering was one of the most highly awaited events in Wall Street history. Jobs at twenty-five and "the Woz" at thirty became instant millionaires. Within five years, Apple, with sales of $300 million, catapulted itself into the ranks of the Fortune 500 and became the darling of the national business press. Then came the Macintosh computer, so easy to use, it had a ten-year jump on the industry. Sales peaked at $11 billion in 1995. But by that time, Apple had become a troubled company. This book, written by a Wall Street Journal technology reporter, is the most detailed study to date of the past decade of Apple's turbulent history. Jim Carlton walks us down company corridors, into the boardroom, and through barriers to research laboratories, and reveals a seething cauldron of petty infighting and buried secrets. Through exhaustive interviews with more than 160 former Apple employees, industry experts, and competitors - including Bill Gates, Sculley, and Amelio - Carlton discovers confidential memos, late-night rendezvous, and fateful decisions that forever changed the company's path. He portrays a company very different from the glamorous technology leader that designed computers for "the rest of us" and illuminates what might have been and what really happened to this once-great icon of American business. Accidental Empires Revisited: How the Boys of Silicon Valley Make Their Millions, Battle Foreign Competition and Still Can't Get Date by Robert X. Cringely. An updated version of the classic book on the history and unlikely heros of the personal computer revolution. Includes the stories of Steve Jobs, Steve Wozniak, Bill Gates, Paul Allen and others who made the personal computer possible. Steve Wozniak; A Wizard Called Woz by Rebecca Gold. Lots of pictures about the workings of computers make this an excellent book for kids. It is part of the Achiever series of books and tells the story of the legendary Woz from his childhood to his creative days at Apple and his more recent activities. Steve Wozniak's Linked-In Page - See what the Woz is up to now. How Steve Wozniak Wrote BASIC for the Original Apple From Scratch - Gizmodo story that shows the genius and dedication of Steve.